Once long, long ago there was an adventurer. She loved to go spelunking and deep sea diving, when she wasn't out looking for treasure she was coming up with in steampunk inventions. She had both engineers and crazy mad scientists test her new prototype of goggles. They were all shocked by her talent and ordered over 237 to be made withing a weeks time. Well, that was not something she could create, so instead she started to shop online. She was in luck when she found the Radioactive Aviator Black Goggles. 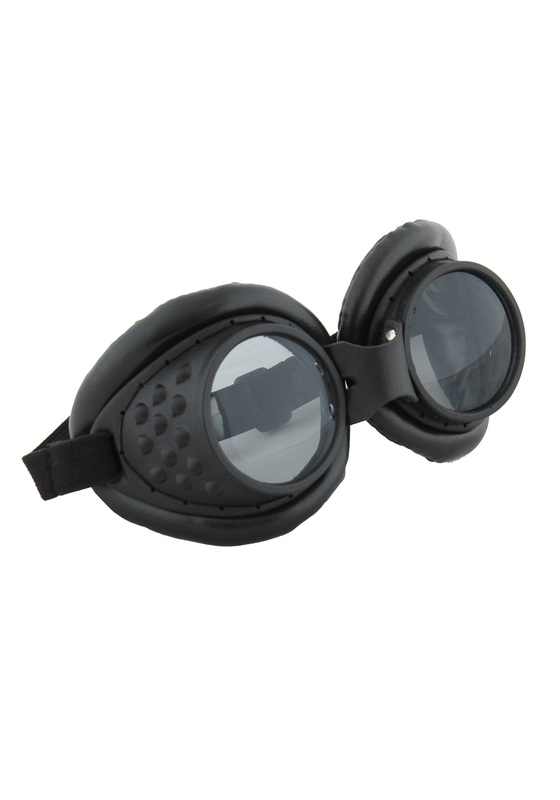 You can be just like her in the cool Radioactive Aviator Black Goggles for your next steampunk outfit. The lenses are clear with faux leather eyepieces for polish. It fits to the head with an adjustable elastic band.